Reprinted from the August 1999 newsletter, and written by Wayne Plymale. The 1960’s will always be remembered for Woodstock, the first human to walk on the moon, and the Miracle Mets winning the World Series despite odds of 500-1. The 60’s also brought about a running club that would change the sport of running. This club consisted of members of the Dolphin (Swim) Club, the South End Rowing Club, and the San Francisco Rowing Club. 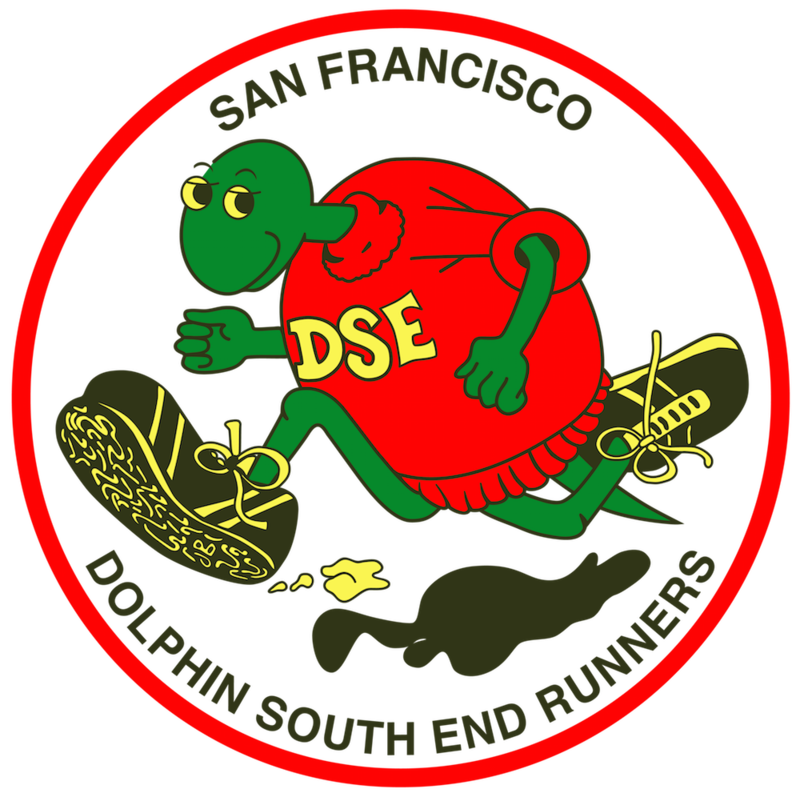 The new club, formed in 1966, would be known as the Dolphin South End Runners Club or DSE, and would be headed by Walt Stack. His philosophy was certainly different than the AAU (Amateur Athletic Union), which was the governing body of running back then. His low key approach would bring in runners from around the Bay Area. The runs would be from two to five miles and would attract 20-50 runners, including women for the first time. To keep with the club’s low key approach, there would be no hassle with permits, high entry fees, or having 2-4 runs a day. Regulars such as Jack Bettencourt, Phil Paulson, Mike Lyons, Maryetta Boitano, Pam Schmidt, Bev Bettencourt and Linda Beale were among the backbone of the club. The first accounts of DSE runs appeared in 1969 with such runs as Nob Hill, Coit Tower, Lake Merced, and the Coit Tower Relay that would pair men and women. The DSE had three other runs that enhanced its future: the Practice Dipsea, the Practice Bay to Breakers, and the Double Dipsea. The running year would culminate with the Awards Banquet held at the Dolphin Club. Trophies would be awarded on a points system – one point for each 20 miles run whether it was during a race or training. Five points would be awarded up to five miles if you ran in a DSE or an AAU run. Anything over five miles was one point for each mile run. Special thanks are in order to Jack Bettencourt, Ted Vincent, Kevin Lee, and Harry Cordellos who helped provide information for this article.